8Static has been Philadelphia’s premier chipmusic event for the past five years, but things have really been ramping up in the past few months. Piggybacking on the success of their first 8Static Festival, the grassroots group have been quietly building a label of some of the best and most diverse chipmusic the east-coast chiptune scene has to offer. This week chipmusician and multi-instrumentalist Auxcide released not one but two new chiptune albums with 8static. Pixel and Speck are two electronic, experimental and danceable albums containing both original tunes and awesome cover songs. Check them out at the players below, and support your local chipmusician! A bit late on this post, but this season is just getting started. I released a new mix recently, a progressive set of chiptune, trap, electro and house music. I thought of the changing weather, starting out the mix with hot tracks from the end of summer, gradulating moving up in tempo and down in energy. It kind of reminds me of the cold fronts of air blowing in. Some of the chiptune tracks are from none other than Brandon L Hood’s Chiptunes=WIN compilations, which I mastered, so I had the good fortune of working with the uncompressed tracks. Truth be told, the Electric Children and Skip Cloud tracks contained within this mix are exclusive, i remastered them to specificly suit their place in the mix. Fancy Jacket Weather is downloadable on Soundcloud and streamable on Mixcloud. Remember to follow if you have an account. 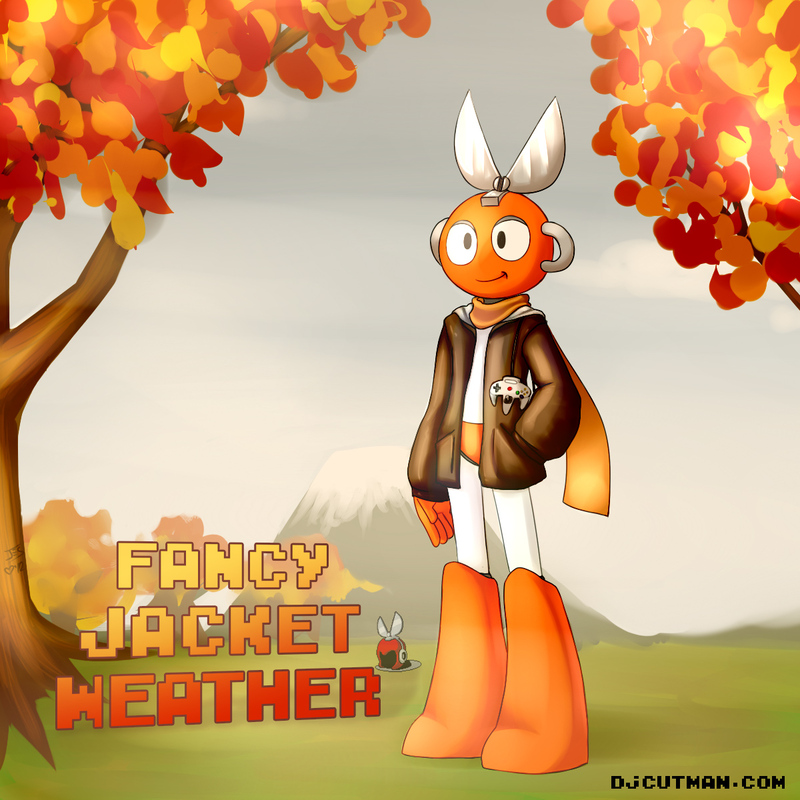 Time to bust out your favorite coat, it’s Fancy Jacket Weather.